While a typical open floor plan makes for expansive sightlines and a cohesive design, it also comes with its own set of complications — like creating an entryway. Since the front door typically opens up right into the main living area, defining a designated drop-zone can be difficult. But devising an entryway when your home doesn't automatically have one isn't limited to airy layouts, either. Narrow hallways and cramped walls can also make this daily necessity feel entirely out of reach, since it's tough to figure out what furnishings could fit. Don't despair! By using clever styling tricks that incorporate storage and ambiance, anyone can have this functional space in their home. 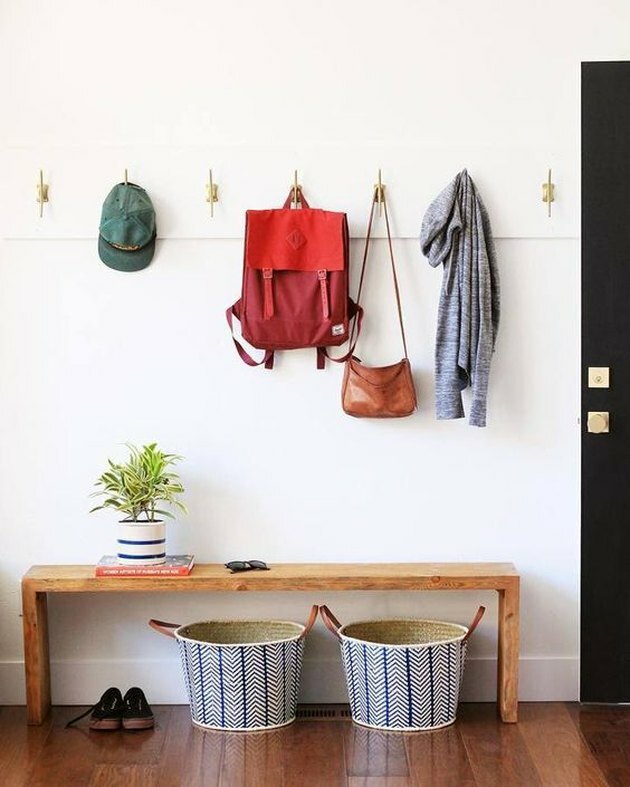 Here are 10 solutions to help you fake a foyer like a pro. 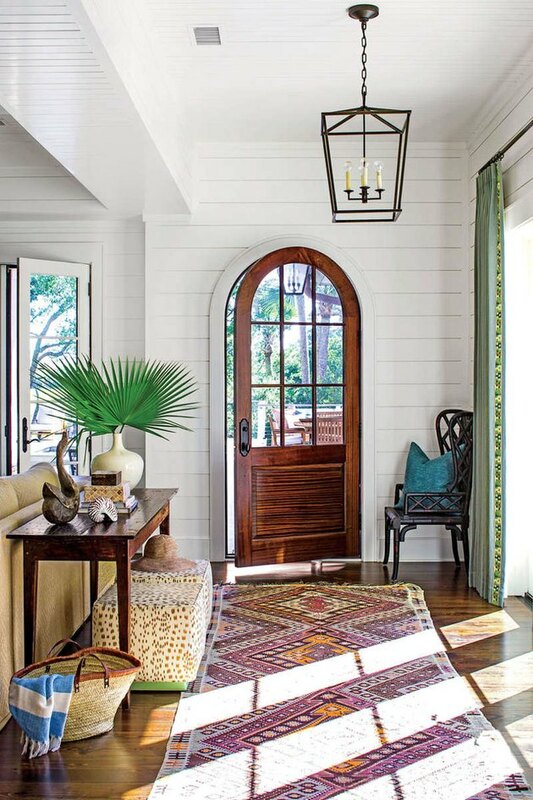 Take notes from this eclectic space featured in Southern Living, and create a classic entryway using a skinny table, a colorful runner, and a corner side chair. Add a small trinket dish for your keys and a woven basket for your shoes and you'll have a new one-stop entryway. 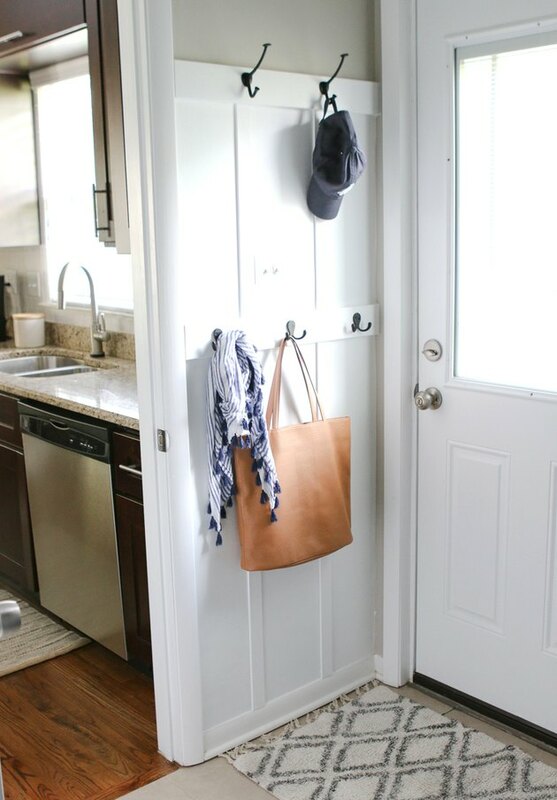 Install a row of uniform hooks along the same wall as the front door, as seen in this entryway from interior designer Jenny Komenda, to store frequently-used bags and jackets that you can easily grab on your way out. Add a narrow bench for a place to sit, and a set of matching fabric baskets to help keep everything neat and tidy. Even the narrowest front hallway has room for this mirror-and-shelf combination designed by Gordon-Duff and Linton. 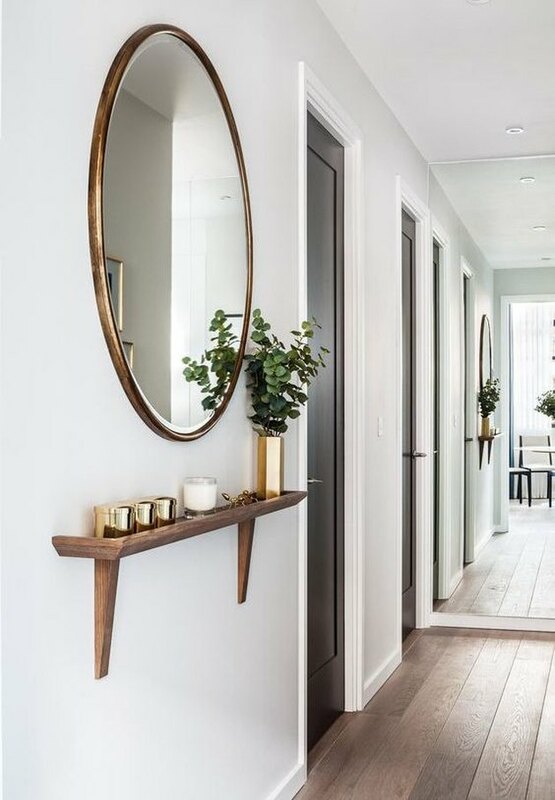 Chic gold accents — like the vase and tea light holders — will dress up your bare-bones minimalist aesthetic, and an oversized round mirror will bounce light around, making the tiny area feel larger. This streamlined space designed by Emily Henderson makes a big statement out of a small area by using every inch of vertical wall space to draw the eye up. Plus, a similar choice of a console table with drawers would allow you to store anything from your dog's leash to a stack of mail without making the entire room feel messy. credit: Houzz / EMI Interior Design, Inc. 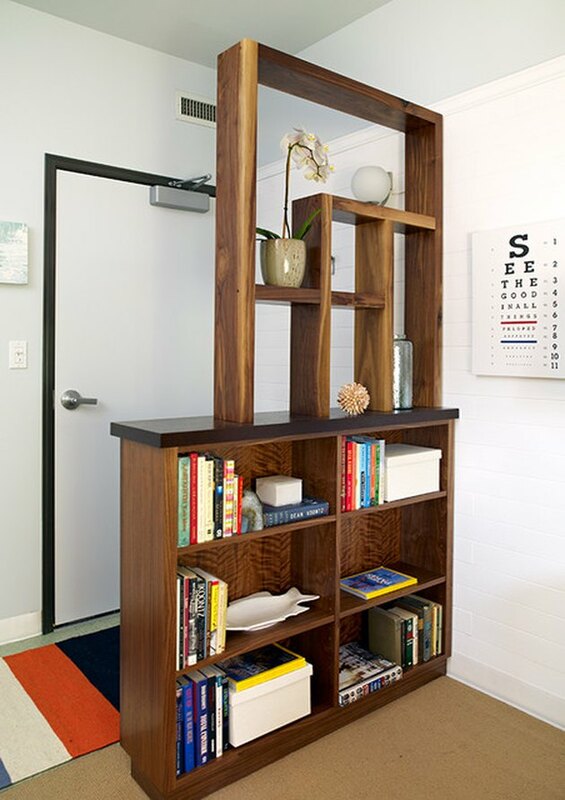 Section off an area for your entryway directly in front of the door by using a simple bookcase. Add decorative open shelving to the top, like in this space by EMI Interior Design, to create a natural transition between the new foyer and the existing living room. The added storage is definitely a perk, too. 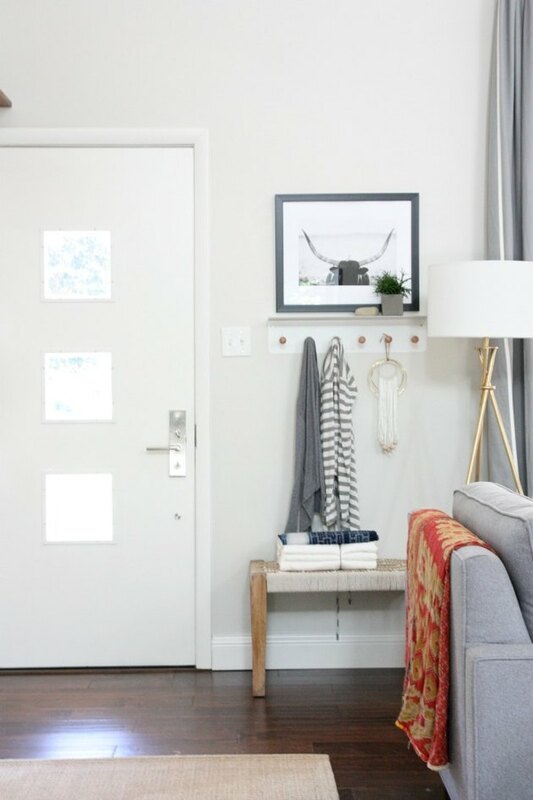 If you're lusting after a functional entryway but you have a small living room, then follow the blog House Tweaking and choose pieces that are similar to your wall color. The white hook plaque and light tones in the framed photograph help the useful area blend in effortlessly with the rest of the room. 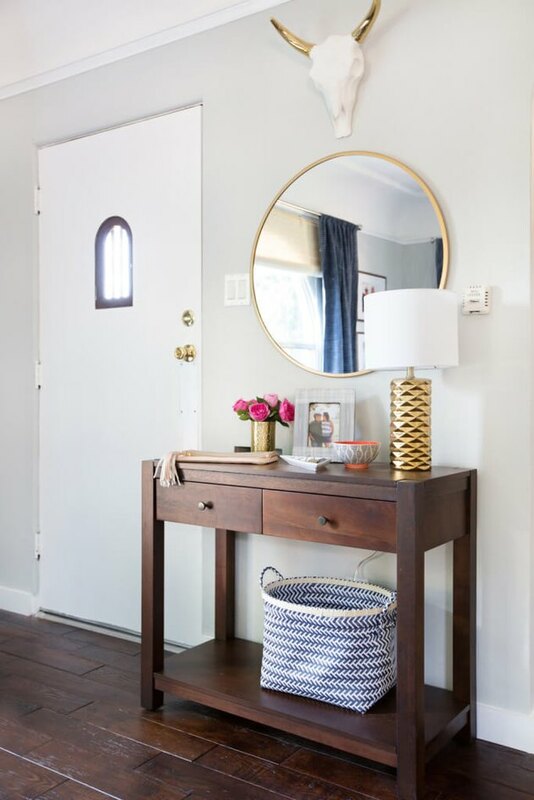 If you have a large blank wall near your front door, use a portion of it to create a small entryway complete with a console table, mirror, and small bench. 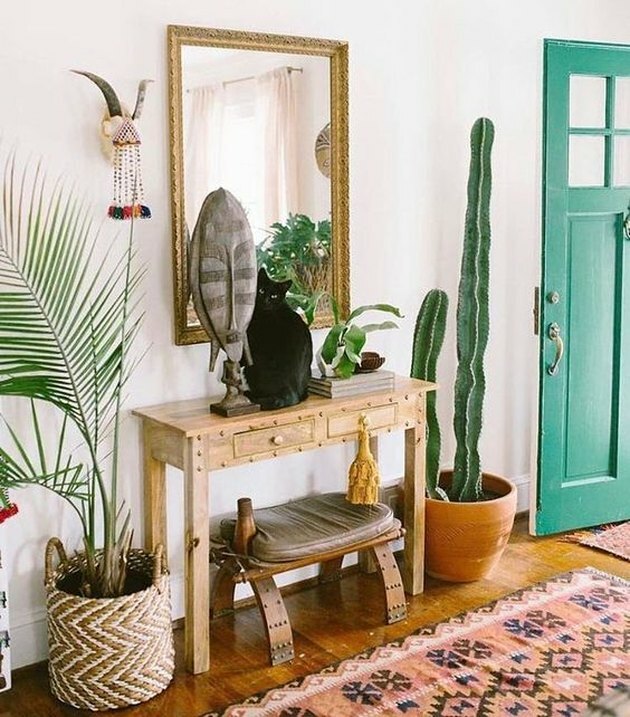 This modern southwest space spotted on LX Crafts Co. uses a large potted plant on either side of a table to make the space feel purposeful and complete. 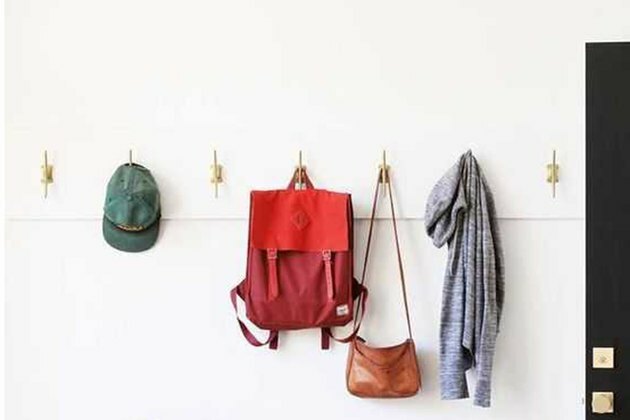 Even a few inches of wall space is enough to give yourself a place to hang your bag and scarf at the end of a long day. This look from the blog The DIY Playbook starts with a classic board and batten effect that adds dimension to the small wall. A few metal hooks in a black hue stand out, and transform a few feet of space into the most efficient area of the house. Just because you don't have a ton of space to work with doesn't mean you should revert to small accessories. 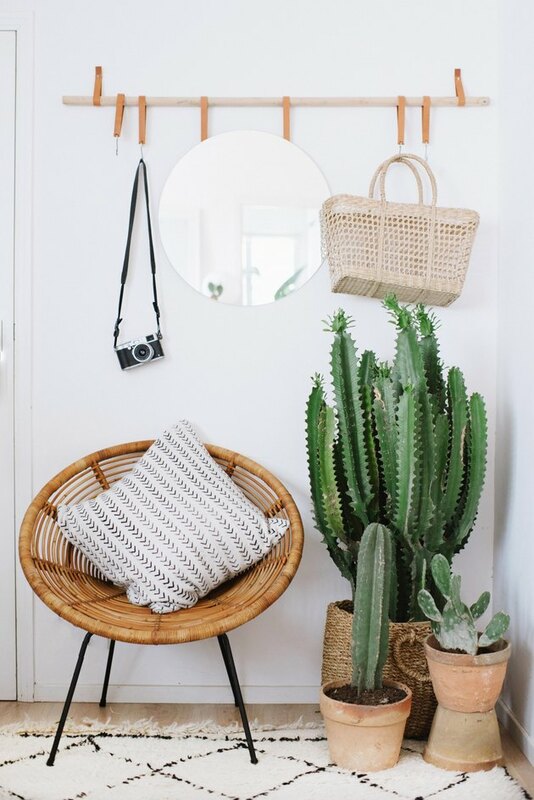 Use bulkier pieces like the group of cacti and woven chair seen in this entryway designed by the blog A Pair and A Spare to keep things from feeling too flat and subtle. Ashley Tyler is a South Florida-based freelance writer with a Bachelor of Arts in English from Nova Southeastern University. When she's not writing, she can be found chasing around her two young sons, cooking up a storm or tackling multiple DIY projects.